From the middle of the last century, Maserati led from the front of Formula One racing. The speed kings of that era risked – and many gave – their lives for the sport they loved. However, the quill that scribed Maserati’s proud history in F1 has long since dried out. Today, the company builds cars for drivers who drive for the simple, unbridled pleasure it offers. From the Ghibli, the Quattroporte, the GranTurismo and the GranCabrio Sport…all offer a self-penned dance with the open road. 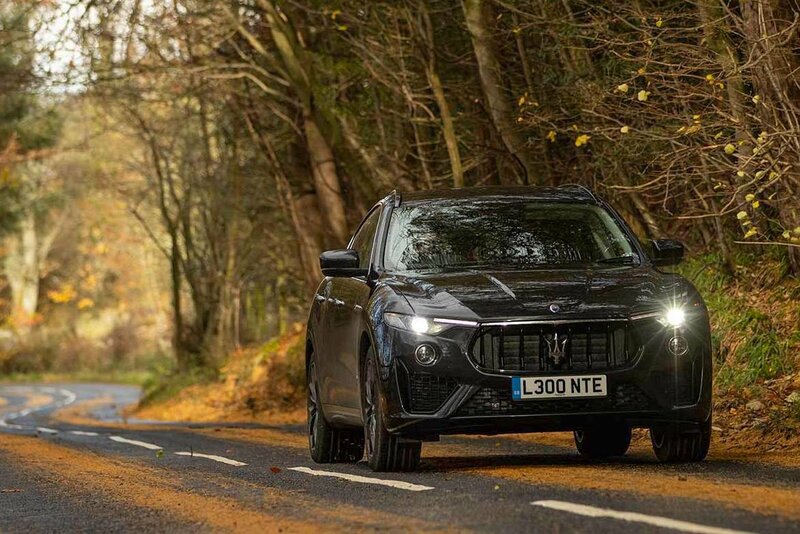 Offering a little less road dancing finesse but a whole lot more luxury than its finely honed stablemates is Maserati’s first attempt at an SUV – the Levante. The model is named after a wind that blows across the Mediterranean that can change from benign calm to gale force in an instant. Introduced in 2015, the Levante received a series of mild updates in 2018 and has now been tweaked and preened to make it a better fit against the latest Porsche Cayenne, Range Rover Sport and Audi Q7/8 and the like. There have been no fundamental changes. 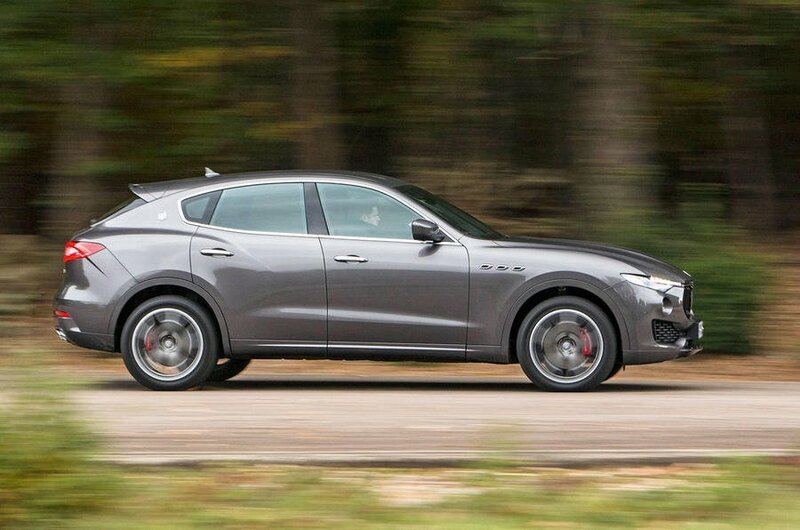 The Levante is still based on the Ghibli and Quattroporte platform, but has been mildly facelifted with new bumpers, trims and a new engine. 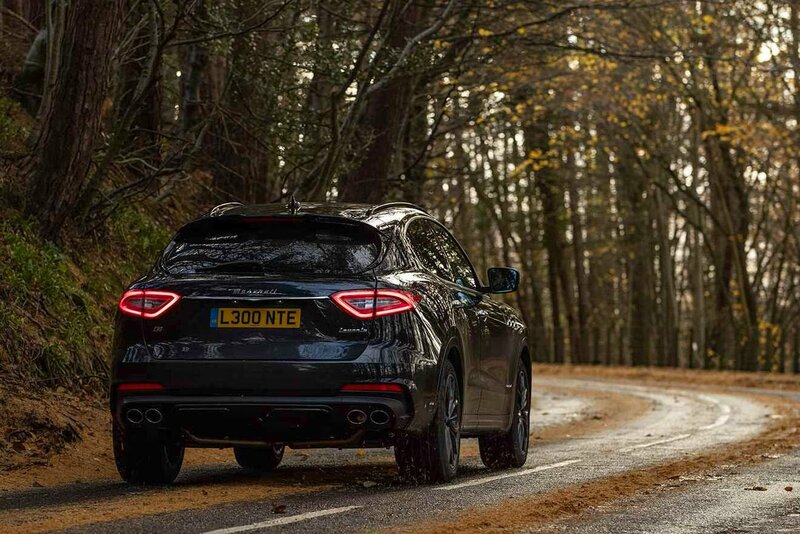 True to SUV formulae, it’s not what you’d call sleek or lithe – there’s just way too much metal for that – but it retains more than enough Maserati DNA to be recognised as a member of the famous Italian family. The gaping slotted grille with the oversized trident, large pinched headlights and triple vents below the A pillar all being trademarks of the brand. Inside the cabin, the interior is a temple to luxury with silk inserts in the leather seats, open-grain wood trim and aluminium-finished controls around the cabin. The design follows the underpinnings and echoes the look of Maserati’s saloons, with a centrally mounted 8.4-inch touchscreen infotainment system flanked by a pair of air vents. There’s an analogue clock above this, while the wide transmission tunnel comes covered in glossy trim. The rest of the cabin is lined with soft leather, and feels plush and comfortable to sit in. The metal gearshift paddles behind the steering wheel are large so that they’re always easy to reach. In terms of both feel and operation, they put the cheap feeling alternatives in many German rivals to shame. The Levante will easily accommodate four adult passengers and keep them comfortable on a long journey. Add a third grown up in the middle rear seat and things become a tad too cosy. This seat isn’t as big as its equivalent in some rival cars, so it’s best used for short, occasional trips only. 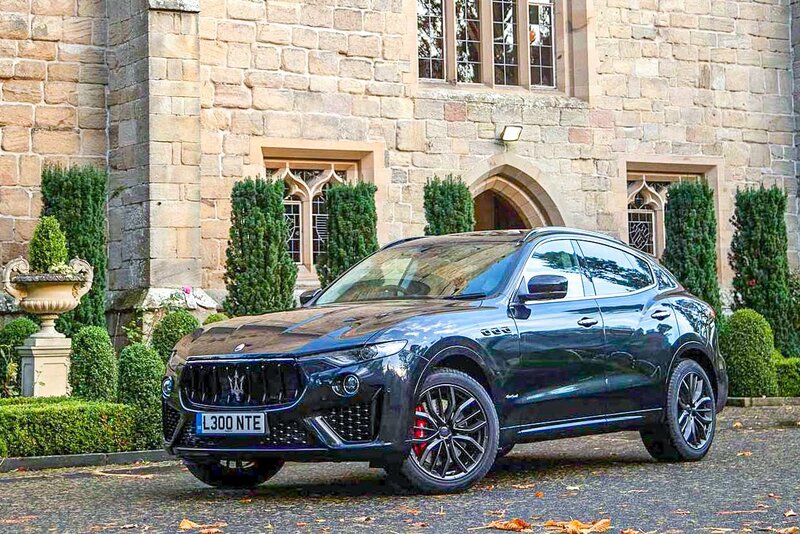 There’s no seven-seater version of the Levante, either – if you want that capability, look elsewhere. 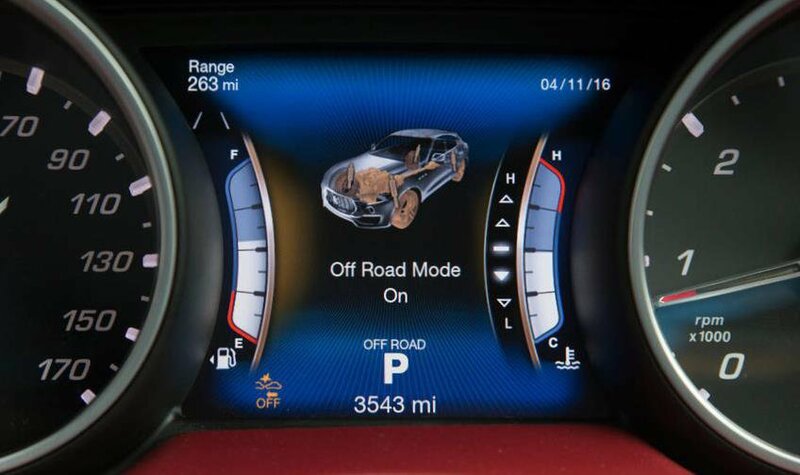 The Levante uses a similar infotainment system to that found in other cars under the Fiat Chrysler Automobiles umbrella, including top-end Jeeps and Fiats. While it’s been reskinned for Maserati, it’s nowhere near as good as rival systems from Porsche, BMW or Audi. DAB and navigation are standard and, apart from the climate control, everything can be controlled from the touchscreen, with downloadable apps available alongside features such as internet radio. Though the interface isn’t the prettiest or the most intuitive to use, it’s available with both Apple CarPlay and Android Auto connectivity. While the basic tech is there, the system isn’t the most logical, so you often find yourself fishing around for the right option. Given the capacitive touchscreen’s strength, the rotary controller underneath is rendered largely redundant. There are three primary Levante models for its 2019 model year – Levante, Levante S and Levante Diesel. Each is available in range-entry GranLusso and GranSport trim grades. As standard, all Levantes have leather upholstery, the aforementioned touchscreen infotainment interface, an eight-speaker stereo system, cruise control, hill-descent control, dual-zone climate control, rain-sensing windscreen wipers and keyless entry. 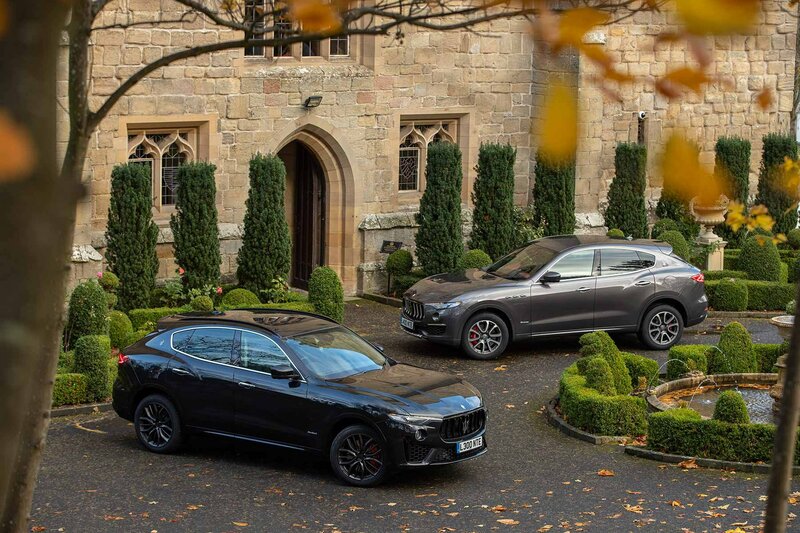 GranLusso brings 19-inch alloys, wood trim and leather seats, while GranSport sees the fitment of 20-inch alloy wheels, red brake callipers and gloss-black garnish to the outside. Inside, GranSport brings a sports steering wheel, paddle shifters for the automatic gearbox and carbon fibre trim details. 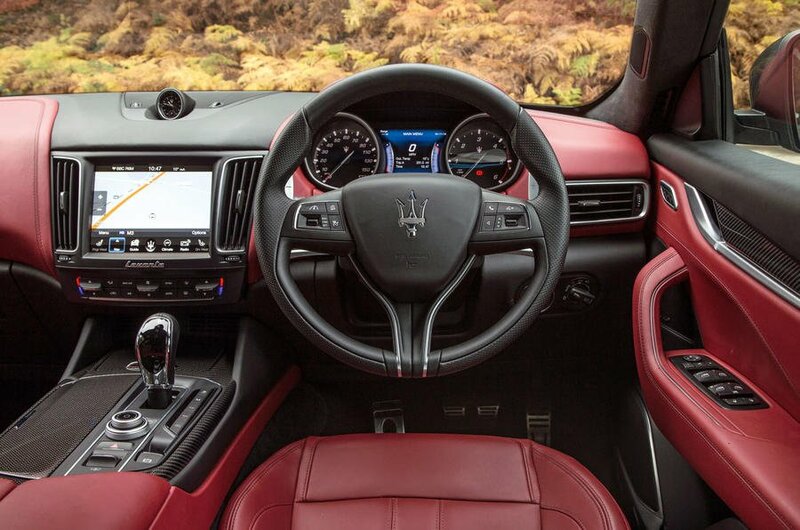 The Levante offers a vast range of options and extensive scope for customisation, particularly inside. Two-tone leather upholstery and 28 different interior trim colours can be specified, as well as silver or gloss-black roof rails and the above-mentioned larger alloy wheels. For added comfort, you can have 12-way power adjustment on the driver’s seat. The regular hi-fi can be upgraded to a Harman/Kardon unit, but the Bowers & Wilkins system is among the best in the business. Other optional upgrades include electronic adjustment for the steering column, heated rear seats and an Alcantara suede-fabric headliner. 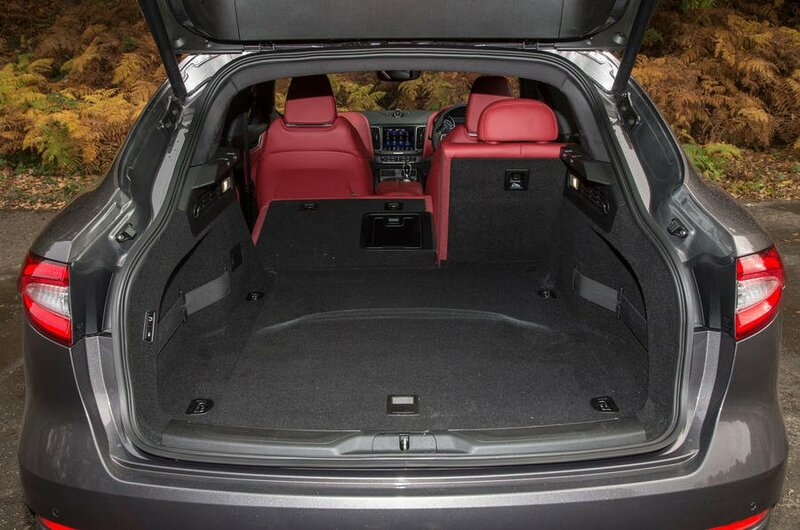 The Levante’s boot can hold 580 litres of luggage – far removed from the BMW X5’s 650-litre capacity and the 770 litres offered in the Audi Q7. The boot might have a large floor area, but hound-friendliness is compromised by the angle of the tailgate. You can at least temporarily expand the load area if needed by dropping down the standard 60:40 split-folding rear seats. 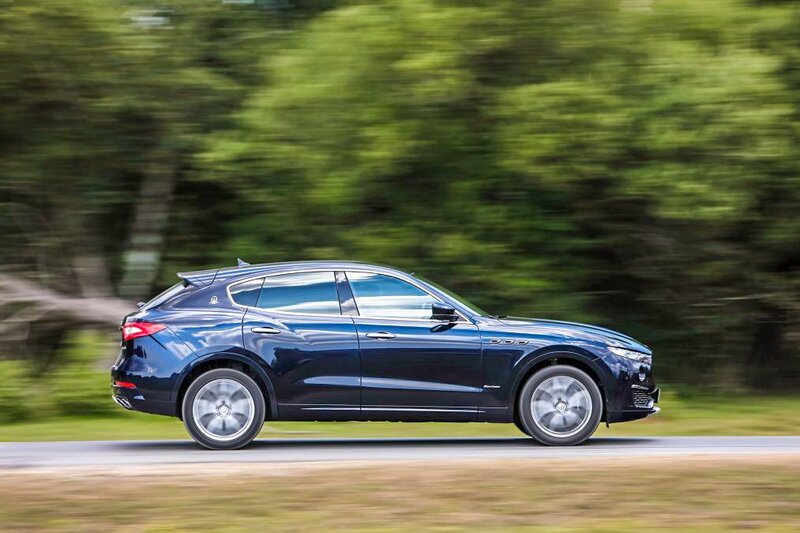 The Levante also has a powered tailgate as standard, so there’s no awkward reaching to close the boot or struggling with arms full of shopping bags. 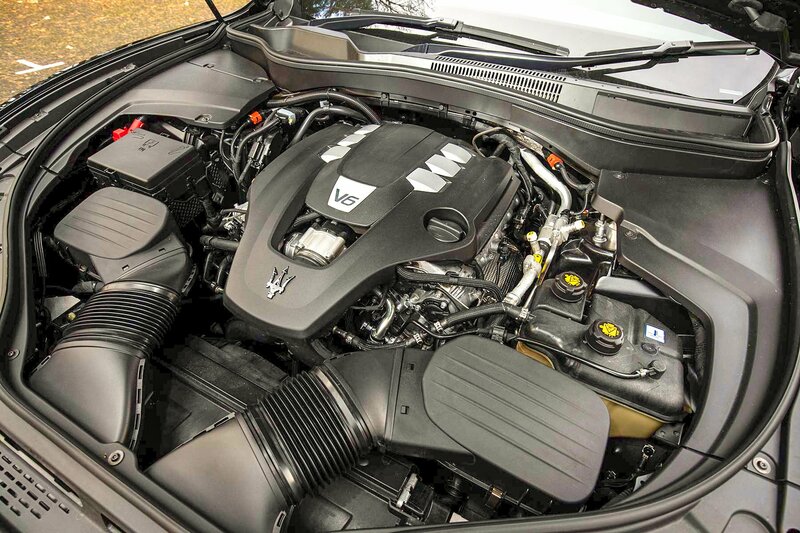 There are currently three engine options available on the Maserati Levante – two twin-turbo petrols and a turbodiesel. All are 3.0-litre V6 units with the petrols offering 350hp/500Nm and 430hp/580Nm respectively, while the diesel delivers 275hp/600Nm. 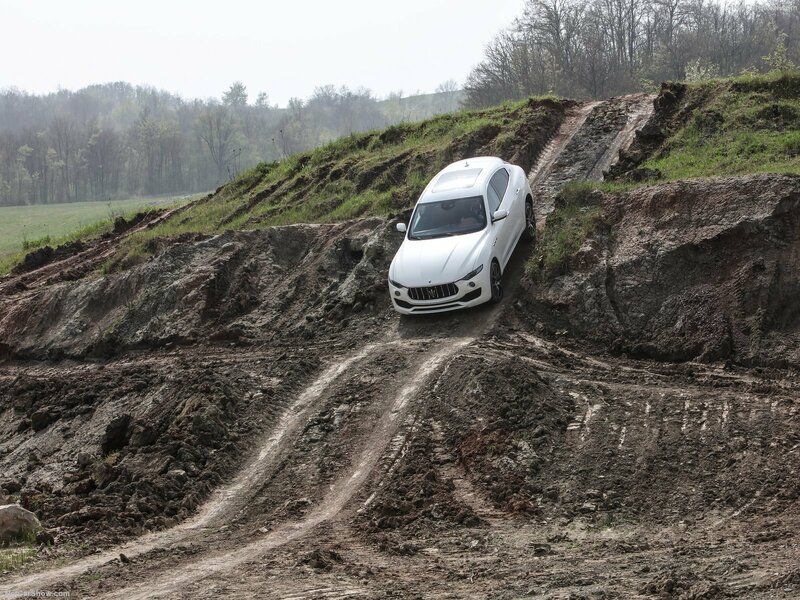 The only gearbox available on the Levante is an eight-speed ZF-sourced automatic as found on BMW and Jaguar Land Rover vehicles. It’s an ideal partner for the engine, shifting gears smoothly and unobtrusively and letting the car run quietly at very low revs while cruising on the motorway. Gear changes aren’t as fast as those of the automatic gearbox in the Audi Q7, especially when using the steering wheel paddles, so it’s best left in fully automatic mode. All models incorporate an intelligent all-wheel-drive system as standard, ensuring improved grip and poise in corners. 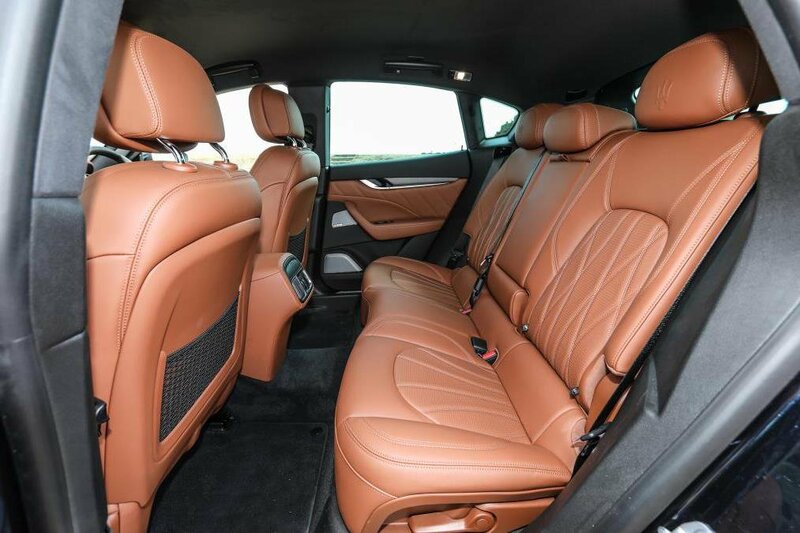 With its standard leather seats, adjustable suspension and excellent noise suppression (despite the use of frameless windows), the interior of the Maserati Levante is a calm, quiet and comfortable environment when you’re on the move. Given that this is a 2.2-tonne car, the Levante's handling is probably its finest attribute. There is plenty of grip, and the active suspension makes a respectable fist of controlling body movement and roll through the corners. During the minor update in 2018, a new electrically assisted power steering system was introduced across the Levante range to replace the outgoing hydraulic set-up. It’s the very same kit installed on the Ghibli and Quattroporte during their respective updates earlier in the same year. While the paddle-shift override works well, you can't separate suspension and transmission in the drive mode settings as you can with some rivals, so an over-firm ride comes free with sharper powertrain responses. The V6 petrol is a far more engaging drive – it is 100kg lighter than the diesel and it feels as if this weight has all come off the nose. So the steering is perceptibly lighter and the turn-in crisper. It just feels entirely more agile, but perhaps I was seduced by its excellent engine noise. Just perhaps, mind. Maserati’s close relationship with car industry giants Fiat and Chrysler has improved reliability of the marque’s products considerably in recent years. 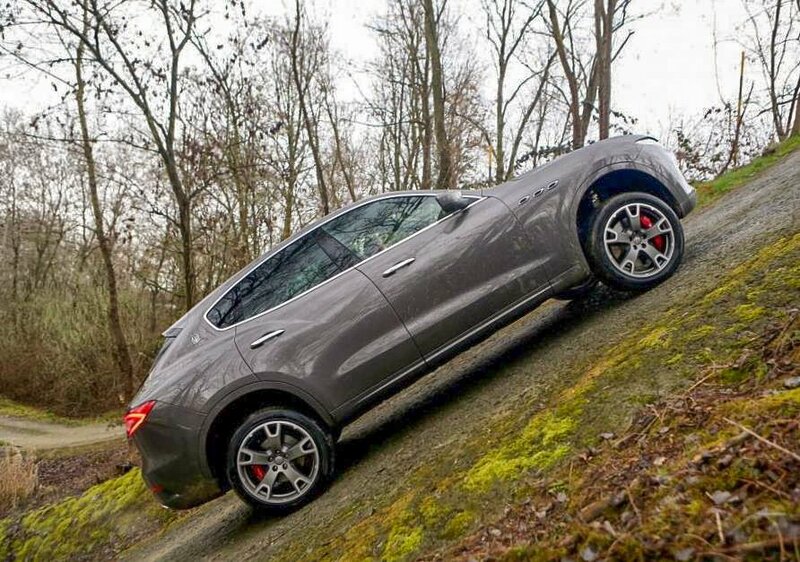 The Levante’s diesel engine is manufactured by the Italian diesel specialist VM Motori and shared with other models in the range, so it’s well proven and unlikely to give serious trouble. The petrol engines are, of course, manufactured by Ferrari and hold an enviable reputation for reliability and durability. Unlike Audi, Maserati doesn’t slap a 60,000-mile limit on its three-year, new-car warranty. So, if you do hit trouble within that time, you can be confident it’ll be sorted no matter how far you’ve driven the car. 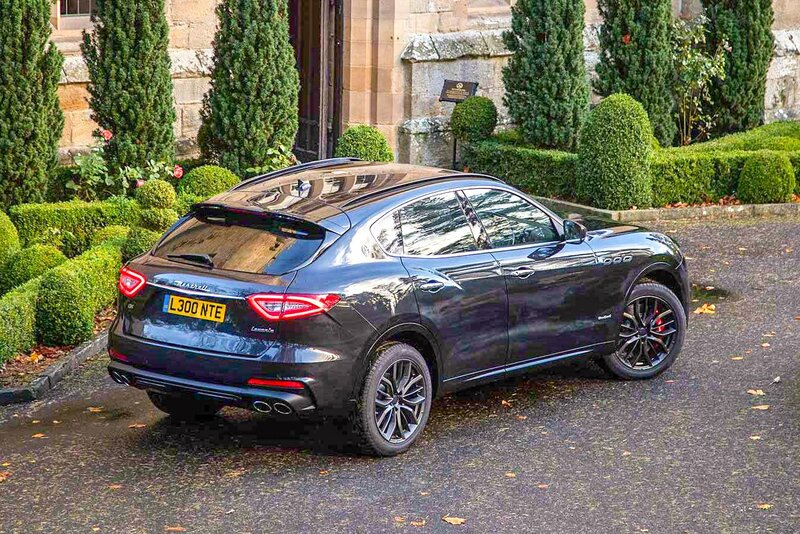 This Levante is a much better all-rounder than many people give it credit for and deserves a wider audience. 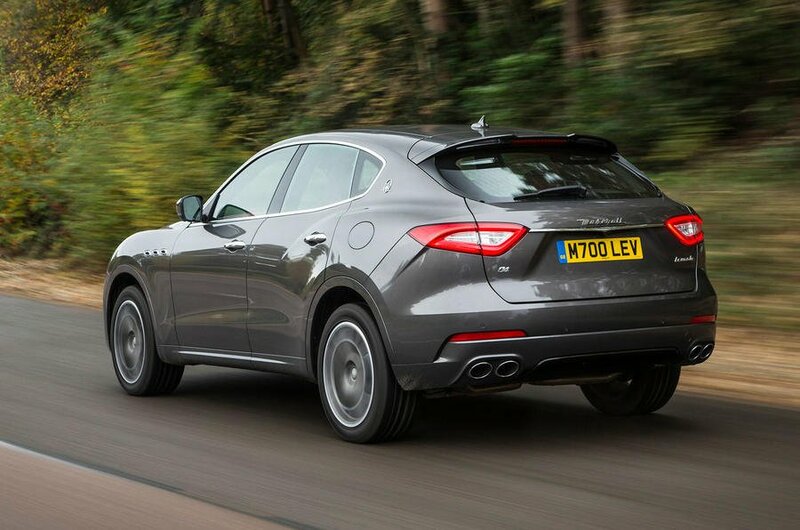 The Levante is a relatively good-value option as a diesel, but that Ferrari motor in the S offers the true Maserati experience if you can step up to it. For buyers where the emotional experience of owning a Maserati will matter the most, the performance on offer is more than enough. There is the bonus of the wonderful exhaust note, too. Browse our latest top leasing deals on the Maserati Levante SUV.